Vincent Bach, a famous American trumpet player and founder of the Vincent Bach Corporation, once said that "choosing the perfect mouthpiece is often more difficult than choosing the perfect instrument." Once you have chosen the best mouthpiece for your embouchure and skill level, though, cleaning and maintenance are crucial. Cleaning your trumpet mouthpiece requires very little time and will ultimately help you maintain a clear and powerful sound. 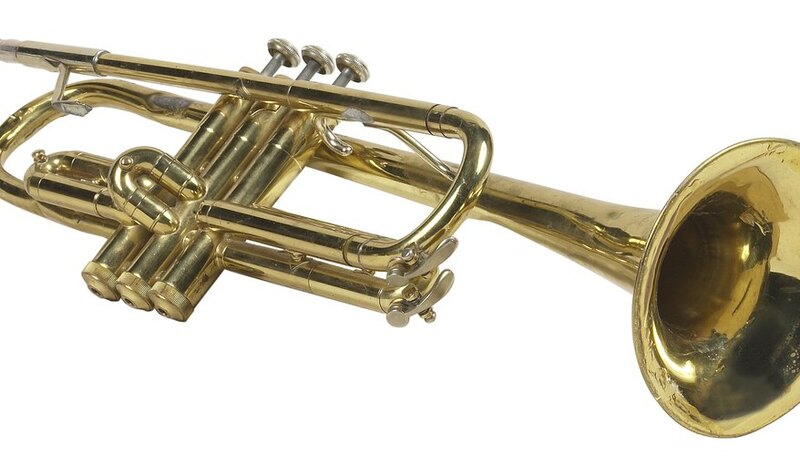 Remove your trumpet mouthpiece when you are finished playing. Shake the mouthpiece vigorously. This will remove any excess moisture on the inside of the mouthpiece. Wipe the outside of the mouthpiece with a dry cloth, then replace it in your case. Wipe the mouthpiece with a cloth soaked in warm, soapy water. You can use dish soap or any other mild cleaning soap, but do not use detergents. Clean the inside of the mouthpiece with your mouthpiece brush. Rinse the mouthpiece once more with clean water. Dry the mouthpiece with a clean, dry cloth, then allow to air dry for about half an hour. Repeat cleaning at least once a month. Texas School Music Project: "Clean Your Horn!" Children's Music Workshop.com: "Caring for Your Trumpet"